This weekend my mother came to visit and we went dress shopping. She is going to be accepting an (in my opinion, long overdue) professional award, and needed something perfect to wear. While at Ralph Lauren, we discovered these fantastic napkin holders, which, reportedly, are being purchased as bracelets by many shoppers. I love a good repurposing, so although I'm sure to get some backlash from friends, I just can't help but share this one anyway. 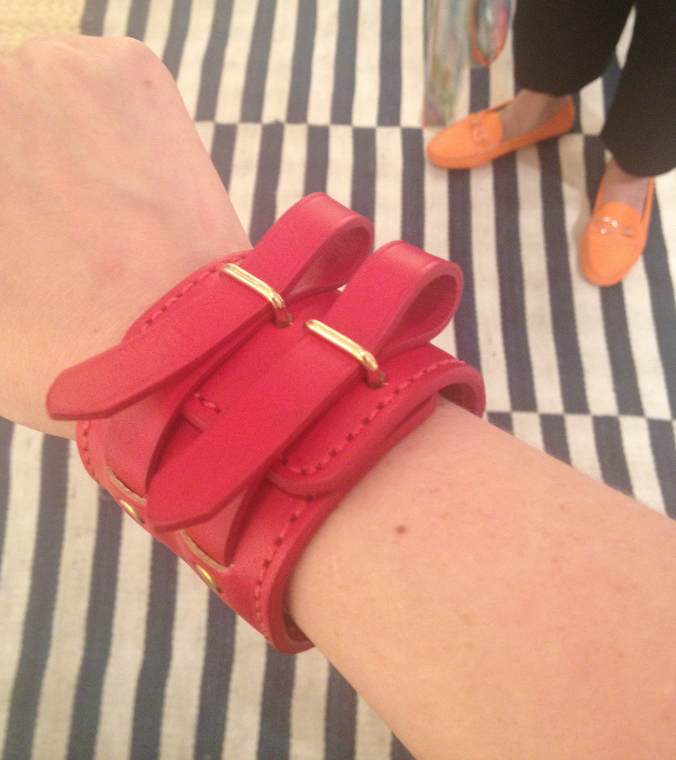 How fantastically nearly-Hermes is this as a bracelet? It's such a clever way to use an item creatively. And whether used for its intended purpose or for a creative one, it is just so beautifully made, how can one resist? My favorite color to be used as a bracelet is the brown version. Would you be so bold as to repurpose a napkin ring this way? Would you go so far as to buy two to wear as cuffs? Or maybe just buy a full set for the table, which could be used as bracelets when needed? They aren't as dainty as my usual style, but I so love this idea! 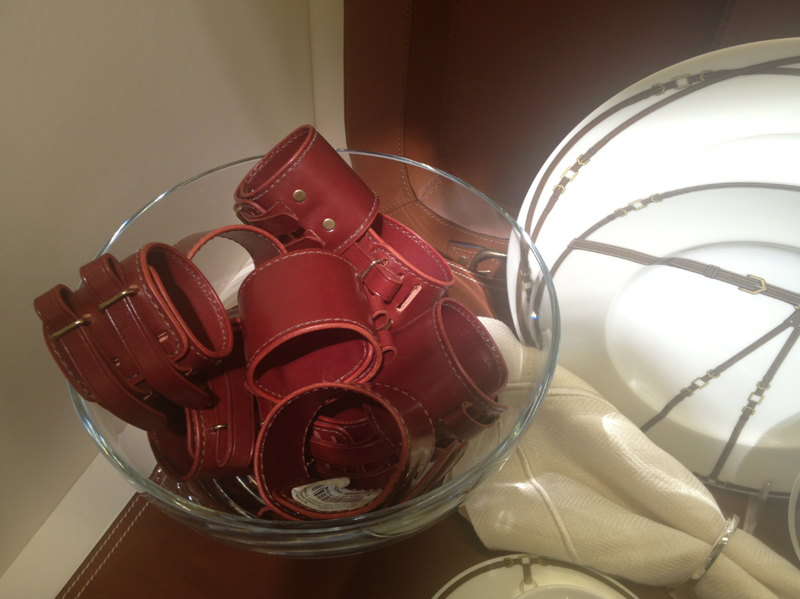 Ralph Lauren napkin rings in red, navy, saddle, and green tartan.